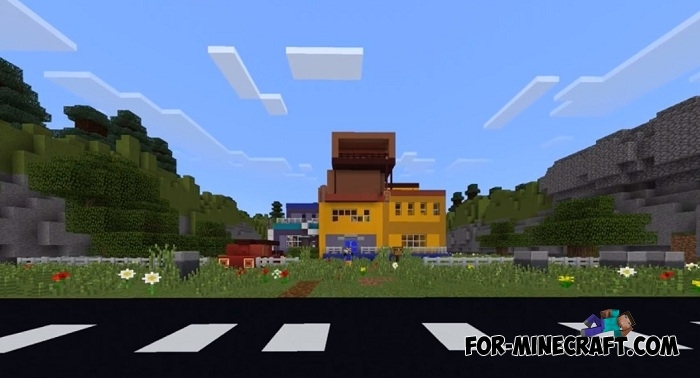 This small map recreates the atmosphere of Hello Neighbor, which is a simulator of an evil neighbor. 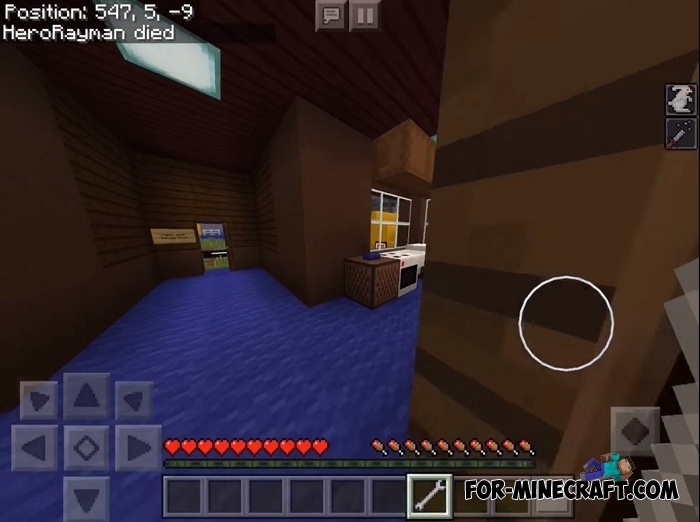 By and large, this is a horror with elements of surprise, so the player is in a difficult situation: you as the main character need to sneak into the neighbor's house and complete the specified tasks. The most important thing is not to get caught in the neighbour’s eyes, he shouldn’t see you, otherwise you won’t live. You start the game in your house, the neighbor house is on the opposite side, which means you need to somehow get there. Do not try to kill the neighbor - it is forbidden and not possible. Having entered the house you need to solve several puzzles and a wrench will help you with this. But if the neighbor sees you, then after a moment there will be a sound and death will overtake you. 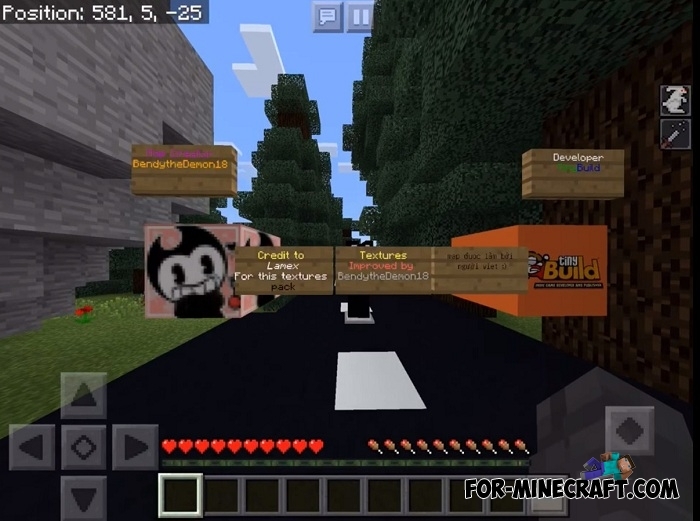 Play either on the Minecraft BE 1.7 release version or Minecraft BE 1.8 beta with pandas. 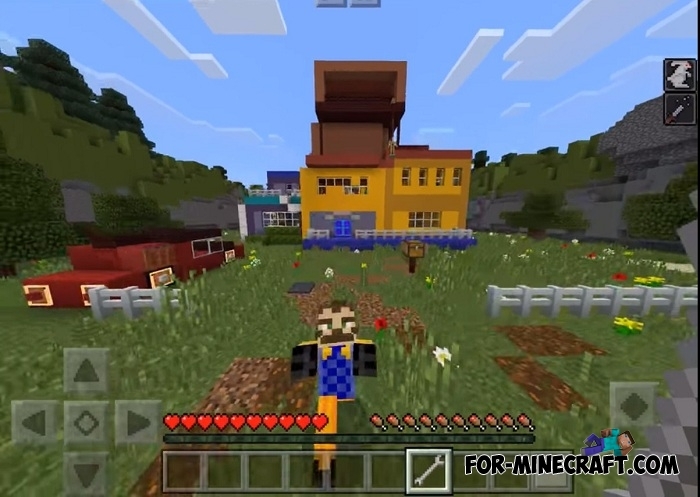 Hello Neighbor (addon+map) for Minecraft PE 1.0Hello Neighbor is not a typical horror where you need to escape from..